The first double amputee to earn an NCAA DI scholarship is a three-time All-American, but he's just getting started. 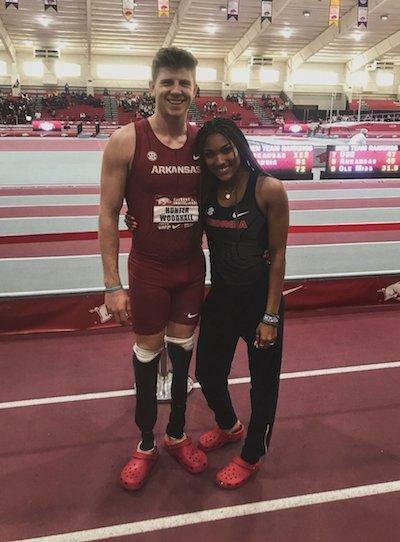 Hunter Woodhall made history in 2017 as the first double amputee to earn an NCAA Division I scholarship when he signed a national letter of intent to compete for Arkansas' legendary track and field program. But as every athlete knows, signing with a program is when the real work begins. 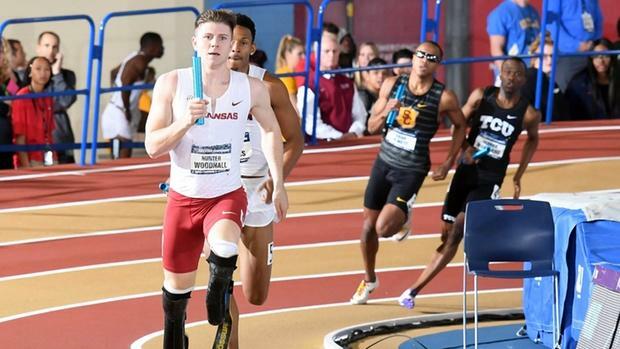 Now a sophomore, Woodhall recently helped two Razorback relays, the DMR and 4x400m, to All-American status at the NCAA Indoor Championships. 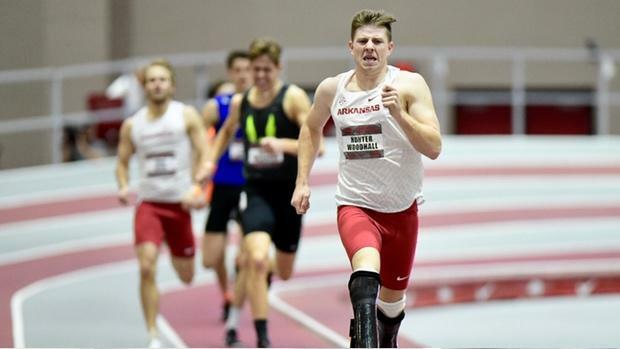 He also earned All-American honors last outdoor season as part of Arkansas' sixth-place 4x400m relay, but that's not to say his collegiate career has gone off without a hitch. 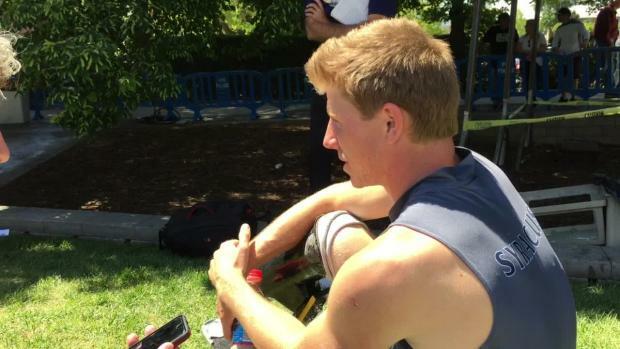 The Paralympic medalist and 400m specialist, whose legs were amputated below the knee at 11 months old due to a birth defect called fibular hemimelia, opened up in this recent Q&A about the challenges of adjusting to NCAA track and field and his goals for the future. How are you feeling about NCAAs? [The Razorbacks' DMR placed 6th and the 4x4 placed 4th; both relays earned All-American honors]. It was good. I was a little disappointed from SECs, not doing exactly what I wanted in the 400 [Woodhall ran 47.25 for seventh place in the 400m final]. Being at NCAAs, especially in the relay around my team, was a special experience. Last year, I didn't make NCAAs [indoor] so it was a good learning experience. With everything going on, I think I ran as well as I could and I was really happy with the performances. Which race are you more proud of? Definitely the 4x4. We were in the slowest heat, the first heat of three, and we were ranked 11th- so, second-to-last, so we were kind of counted out of it. All the guys did what we had to do and we took fourth by less than a second and a half out of the slow heat. I was really proud of the guys, they killed it. [Being ranked low] is not something that was undeserved. We were battling injury the whole season and not able to run the A team. We knew we had it in us. When you're by yourself, sometimes it's up to you to dig deep and try to run a fast split. I do like anchoring. That's the first time I anchored this year. Usually, I'm running third leg. It was cool to switch it up. 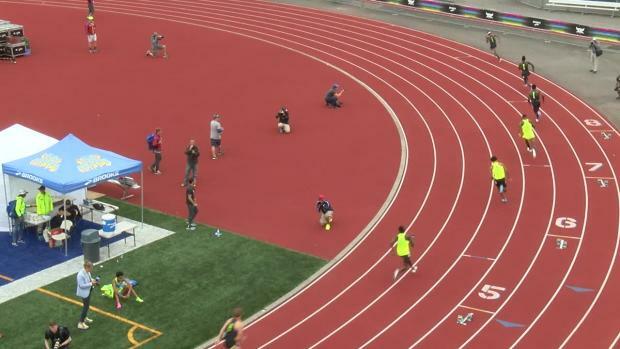 What leg did you run at NCAA outdoors? It changed, actually. First day, I ran second leg; third day, I ran third leg. Our 4x4 kind of comes together right before the race. We usually have five or six guys warming up and whoever's feeling good will be in the race. Coach has a rough idea of what the order's gonna be. It really all has to do with who we're racing against and what the primary goal is. You're looking at your second outdoor season in the NCAA. 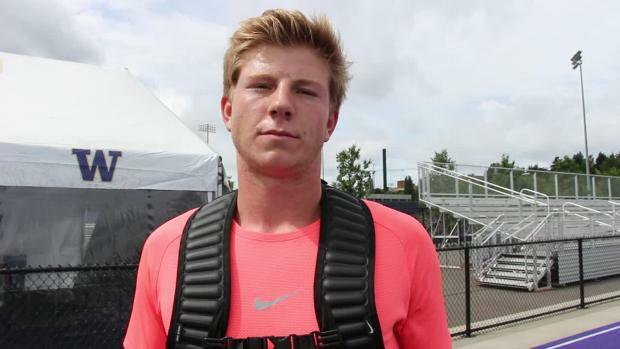 Do you feel like you're still getting used to racing in the NCAA or are you fully adjusted? I think I'm kind of in the middle but closer to fully adjusted. Last year was so, so different for me. It was such a difficult year, as far as training. This year-having a more productive season, feeling healthy and running better times-it's really given me confidence. It's set up well and I think, now, I can look back at last year and say, 'that was a great learning experience.' I'm gonna be a better athlete this year because of what I went through last year. What was hard to adjust to? One of the biggest [things] was probably moving halfway across the country. I'm originally from Utah and moving to Arkansas was quite an adjustment. I didn't know anybody here when I first got here. It was quite a difference for me to learn to adjust and live by myself and always be dependent on myself. I've never experienced the intensity and longevity of an NCAA season. In high school, you're not training as hard for as long. 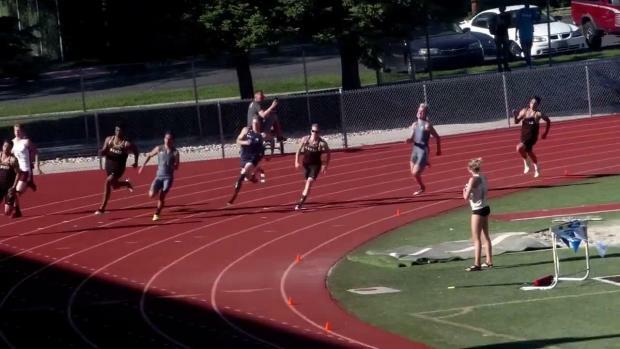 The three years before, I was running summer track and Paralympics, so I was racing late in the summer. Now, instead of having that long break until the high school season starts, we're right back at it for fall training. The first year my body really didn't have that time to recover that it was used to. When you get to the NCAA, especially in these big D1 schools, that training steps up and a lot of times your body is not totally ready to handle it. Did you have any injury issues? No typical injuries, no strains or tears or anything in my muscles. But we were having this problem the whole year with my quads, where they would just lock up and there was a ton of fatigue in my quads all the time. It was really weird. Halfway through the season [in March/April], my coach shut it down for three to five weeks with just light training, maybe three times a week. For a little bit there leading up to SECs, I was at a place where any workout I would do would absolutely wipe me out. Even when we were running short workouts with faster times, my body couldn't handle it so coach decided to taper off. I started training again a week before SECs. I definitely felt better but it was still a pretty prevalent problem, especially in the open [400m], my body was hurting but I was finally able to get back to running faster. Especially on the [relay] splits. I would argue my coaches made the right decision and luckily brought me back from the dead, at least for relay duties, and I was able to help out my team in that aspect. What sort of things did you do on your break? Literally, most days just shake out, lunge series, very low intensity things that aren't going to cause more fatigue in those muscles. 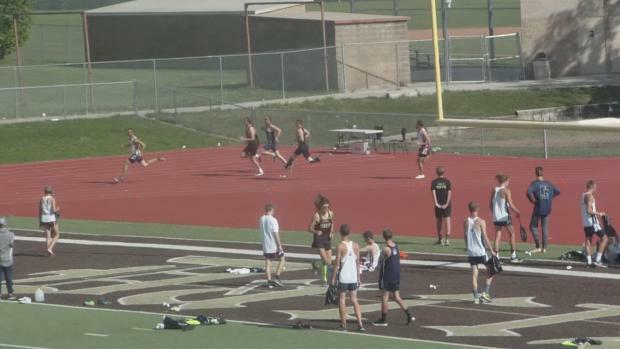 If I did do a workout, it was usually a few 200s at 26 seconds, which is extremely slow-especially in competition season, when you've been working speed. Everything we did was very low impact. How were you feeling mentally during this? It was difficult. I think for any athlete, when you come to college, you have expectations of how you want to perform. I don't think anybody comes into a new program with the idea like, maybe I'm not going to compete how I want to. It's tough, but I trust that God has a plan and we have to keep working into this program and it's all going to work out for itself. Did you go home for the summer or stay in Fayetteville? So I just relaxed. It was actually the first time in four years where I'm not training through the summer. I really just hung out with my friends. We obviously do things that involve exercise, but nothing involving track. A lot of stuff outdoors-going on hikes, finding places to swim, playing other sports like basketball, nothing directly related to track and field. And no weights! That was another thing that really got me freshman year. I wasn't used to lifting. We'd be in the weight room a lot and a lot of the weights we would do were quad-dominant. Squats, deadlifts, targeting those areas. All of it just accumulated to kill me. How was the adjustment back to school for your sophomore fall? It was really good. I had a lot better communication with my coach because now they have an idea of what happens to my body when we do this or that. It was much more calculated and the things we were doing were for the end goal of having a healthy season [for the entire] season. There are things we did last year [where we] made a lot of adaptations. We would run this really steep hill that would directly target my quads and we took that out of my workouts and went to a longer, less of an inclined hill. Little things like that we tweaked. Aside from track, what was the hardest thing about adjusting to college? I think it was just the change in the way I was living and the culture. College is a lot different than high school, especially with the class schedule. It's not the same thing everyday. It's more on you to keep yourself accountable to go to class and get your assignments in. Arkansas is a lot different than Utah as far as the social settings, so getting used to that and learning how to make new friends and create a new network was different for me. Coming to college is way more than running track. It's restructuring your whole life. Did you do anything outside of track while you were hurt? Not really. I was still traveling a lot of the time. Texas Relays was when it really got bad. I went to Texas Relays and coach ended up not running me. I was still with the team the whole time. Especially during practice, even if I wasn't practicing, there wasn't a day where I wasn't going to show up. Regardless, I still was in with the same time commitment. It was just focused on different things. Rather than training, it was more focused on recovering. I am a business major and I am in marketing--going to double minor in communications and another business [field]. I've enjoyed it so far. I'm really interested in marketing because a big part of my life is marketing and self-branding and social media and that whole world. I wanted to get into something that I'm already passionate about. School is somewhere that's fun and exciting and where I can learn something that I'm actually interested in. The first two years of college are interesting because you're taking gen eds, so composition and history and astronomy and things that are maybe not too specific to your degree. Then you sprinkle in a few classes here and there that are specific, social media and marketing, so those ones are definitely more exciting for me and definitely a place where I have a better learning environment. The other ones, I'm just kind of getting through. You and Tara Davis [Hunter's girlfriend and an All-American track and field athlete for the University of Texas -- she transferred to the Longhorns after spending a season with Georgia] have your own YouTube channel. What role does that play into your relationship with track and field? I think a lot more than you would think. The way me and Tara met was through track and field; we met at a track meet. It's the biggest thing in both of our lives, so it's somewhere where we can really connect. The YouTube videos are a place where we can express ourselves and have fun and do whatever we want. A lot of times the videos are based around track, which is something we love because it's obviously a big part of our life and it's fun to share that with others. Do you see yourself continuing to pursue that? I think there's no reason it can't be, I wouldn't say that it's my primary focus after college. It's just one of those things that, it's really fun to do. One of my biggest hobbies is filming and video creation, so that's given me a way to do that. It's given me freedom to get into new cameras and learn more about editing. This all comes together with marketing. Now that I'm learning how to do this with her, there's way more possibilities for me to do this for a company that's looking for content for social media or marketing purposes. What are your goals for after college? One of my biggest things for once I'm out of college is just to be financially stable, obviously, I think that's a safety a lot of people want to have. Other than that, I want to be doing something I enjoy. That's my biggest goal. If I finish college and whatever I'm doing, I'm happy every single day, then I'm happy with whatever else is going on. Are you planning to pursue the 2020 Paralympics and 2019 World Championships? Yeah, absolutely, Tokyo [2020 Paralympic Games] is a big focus. We're just working to figure out how to cycle the correct way to peak at indoor NCAAs, outdoor NCAAs and Tokyo. It's gonna take a lot of work and fine tuning. This year is interesting because Worlds is so late in the year. It makes it difficult to cycle that correctly. We know nationals is going to be July, so we can run through that peak for NCAAs, hopefully. Waiting until November is pretty tough and we'll just decide what we'll do then. What are your goals for the NCAA? I have specific time goals. I usually keep those to myself so I don't speak before I do something. Apart from that, I'd really love to make NCAAs in my individual event. I haven't done that yet, and further than that, to make the final. Along with any other athlete, if your goal is not to win that race, you probably shouldn't be there. It's one step at a time where I have to make nationals to have a chance to win it. Once I get there, the goal is to make the final and after that, the goal would be to win. Coach talks to us a lot about compartmentalizing and taking care of things one at a time. We have Tokyo kind of in the back of our minds. It's more like, 'okay, we have NCAAs coming up in a few months, let's focus on that first then Worlds. When we get to Tokyo, we can have a little more thought about that, especially since it's nearly two years away. There's nothing we can do now thats gonna directly affect it that we're not already doing. How does it feel to be a positive representative of the Paralympic community in the NCAA? It's extremely cool. It's extremely humbling and I'm absolutely blessed for the opportunity. At the end of the day, I didn't come to the NCAA to be the first amputee here or whatever, I came to the NCAA because I believe this is where the best, most competitive people are and I want to challenge myself in everything I do. My whole entire life growing up, competing in the NCAA was always one of my biggest goals. Did you ever deal with bullying as a kid? I've had quite a few negative experiences. A lot of them didn't take place in the sports world. A lot of them were in school. I was homeschooled until I was in fifth grade. In sixth grade, I went through a lot of bullying in school. In seventh grade, I moved schools and managed to make friends who were very instrumental in my life and helped me build my self confidence. Most of the time, I would be able to build close relationships with people on my teams. I've also had some hazing incidents with people, coaches or spectators from other teams being very vocal [negatively] about what I'm doing. 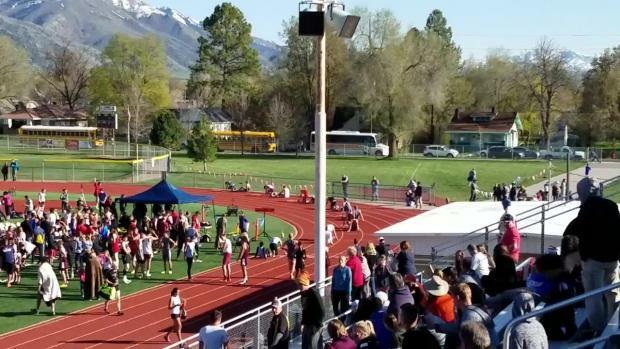 Has anyone ever approached you in a negative way at a track meet? It happens a lot less in person because the second you walk up to someone in person and say something controversial, that's now tied to you. It's only happened to me a few times, actually, in public, in person, and that has always been in high school. It was never directed towards me, but when I was in the vicinity. In college my first year, I didn't hardly hear anything at all-probably because I wasn't running anything fast. This year as I started to run a little better and I feel healthy, a lot of things come through social media. I'll post a video on Twitter or instagram and there's a few people in the comments that have negative things to say, but I try not to focus on that too much. Everything was very nonchalant. If I could do anything, it would be instilling that self-worth in myself earlier but, if anything, learning it the roundabout and hard way was probably beneficial in the long run. Do you ever use those old negative experiences as motivation on the track? It's not necessarily looking back on specific times, but more a domino effect of, I know where I came from and I know where I can go if we want to keep this train going. If you want to keep this momentum going in the right direction, this is something you're going to have to do, to sacrifice. Decisions become easier based on that. How did you decide on Arkansas? When I got to go on my visits, one of my biggest things was trying to find a program with a coaching staff and a team that really believed in me. My recruiting process was kind of fishy, just with trying to find programs that were very confident in having me be part of the program and really believed in my ability. When I got to Arkansas, the coaching environment and team environment and the entire sports staff was in unison and I could tell it was the kind of place where they really care about their athletes, and when it comes down to it, they're trying to fight for you. Arkansas has a great history in track and field and they have amazing facilities. It is a really cool and down to earth kind of place. I kind of fell in love with the place.